The full 2012 Supplier Responsibility Progress Report includes data from 229 separate audits of Apple's overseas suppliers. Cook said to employees that the supplier responsibility program has resulted in "dramatic improvements in hiring practices" with Apple's suppliers. "To prevent the use of underage labor, our team interviews workers, checks employment records and audits the age verification systems employers use," he wrote. "These efforts have been very successful and, as a result, cases of underage labor were down sharply from last year." 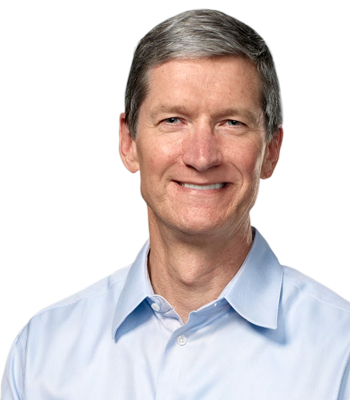 Cook's letter to employees also comes as Apple is now officially a participating member of the Fair Labor Association, which the CEO also acknowledged in his e-mail. The FLA's announcement on Friday makes Apple the first technology company admitted into the association. "The FLA is a leading nonprofit organization dedicated to improving conditions for workers around the world, and we are the first technology company they've approved for membership," Cook wrote. "The FLA's auditing team will have direct access to our supply chain and they will report their findings independently on their website."